Hello fellow bloggers and subscribers. It has come time in my blogger life as many do, to upgrade from the free WordPress.com site to a hosted solution due to traffic increases and lack of plugin support. Over the next few days, I will be migrating my site. During this time, there may be a few hiccups where you may either get duplicate emails or links will not work as expected. I will do my best to make this as smooth a process as possible, but as anyone in technology knows, thing rarely go that way. If researching on WordPress migration, all my subscribers should be able to still get content if you are a subscriber via email. If you are a WordPress specific subscriber, you will need to resubscribe to get updates. I apologize in advance for any inconvenience this may cause, and look forward to providing the best content to my viewers as my blog progresses. Thank you for everyone’s support!! I wanted to let everyone who subscribes to my blog ( and those visiting for the first time) that there is a new You tube channel I have created tailored to your needs as .NET developers. Who is this channel for? Good question. This channel is for EVERYONE! I am in the middle of uploading videos for a series on ASP.NET MVC from beginner to advance lessons. Click Here.You will learn what MVC means, why it’s a great design pattern, as well as how to implemented it in the best way for excellent performance and future proofing your project code maintenance. We also have a series for those of you just getting into the C# .NET space. Even for beginning programmers that haven’t touched code before. All you need is Visual Studio Express and the aptitude to LEARN! Click HERE to visit that series. The playlists are constantly growing and so is what is in them. The best part about these tutorials is that they are based on real live scenarios. So you will never say ‘you must do it this way’ or ‘this is the proper way to do something’. The reason for this is that I write and do videos based on REAL LIFE Experience. Not textbook answers or solutions. So join me in my journey as we explore together the .NET possibilities!! I am often asked what the difference is between IQueryable, IEnumerable and LINQ. This is a loaded question, but I will try my best to explain it in this blog. This blog will focus mostly on each from a database point of view but we will NOT be going over using any ORM providers such as Entity Framework. What exactly is an IQueryable and LINQ -> SQL? Well, that’s a great question. An IQueryable actually extends IEnumerable which means that it can do iterations (for each loops) in the same way that IEnumerable can. IQueryable is very often used to build up queries to be used to call a database. Since an IQueryable is an in memory query (in other words has not been executed to the database yet, you can chain filters to the queryable before it executes. For example, if you wanted to do a select on a product by it’s name, you would build the select query and then the where clause (filter) using LINQ to SQL (now known as LINQ to Entities). Note: An IQueryable is NOT calling the database. To call the database you must turn it into a concrete object! If you do a .ToList() at the end of your query, that will make the call to the database. Until then it is just a string SQL statement in memory. Common functions that will trigger a call to the database are Where(), ToList() and Select(). LINQ to SQL (LINQ to Entities) ORM (Object relational mapping) is a query language build within the .NET framework which provides the developer the ability to query a database without having intimate understanding of the TSQL language. This is done by providing a programmatic syntax (using Lamda expressions) similar to C#. This code then gets compiled down into a query which can be sent to the database and return the results to the developers code. A very basic example would be something like this. Suppose you have a database structure similar to the one below. A pretty simple ordering database schema. The Products table is the main system and you will notice that there is a one to many relationship between Product and Category. 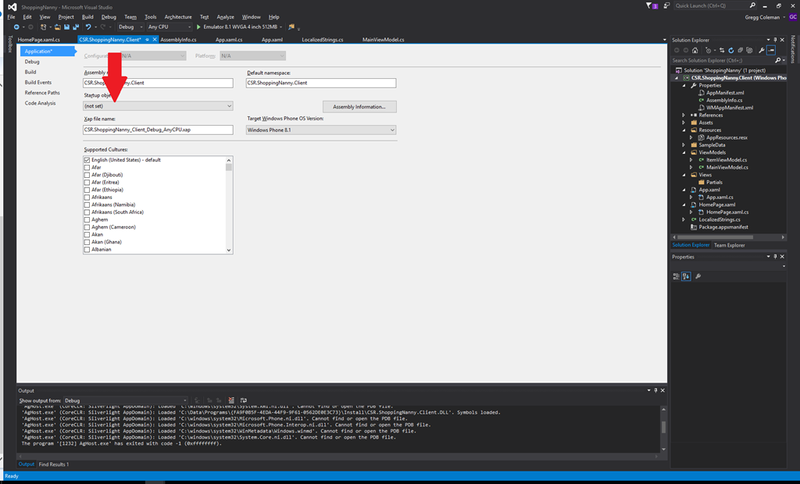 Now, with the given diagram above, you can use LINQ to query the database using entity framework (I will not be going into the intricacies of EF at this time). If anyone comments below that they would like me to, I certainly can.I will also be doing many intro courses on my you tube channel if you are interested. Here is a great image that explains what each syntax keyword means. You will notice that strList is considered an IQueryable. This is because until the select s is called, the query is just an in memory TSQL script and has NOT yet been executed. This means you cannot pull any actual data from it until the select is called. Lets say that you want to query against the database for a product that had the name of Beverages. How would you do that in LINQ? Simple. Here is the code. The syntax here (which I cannot remember offhand what it is called) will give you exactly that. The code is creating an entity context and using it to retrieve data from the products table. Then you are defining a filter condition. You are saying get me all the products where the CategoryName column in the Category link table has a value of Beverages. Note: If you write this syntax out and leave out the ‘select p’, you will not be running the query. It will still be in memory as mentioned above and ‘p’ will be null. This syntax is actually very similar to raw SQL actually, so if you are looking for something that is expressive for a DBA to look at, this might be the syntax for you. Since this article is not about EF, we will skip the assignment and saving to the database part. After creating the database context, the LINQ calls the method Single on the database where ProductName equals Toy 1. Single means that it will only return one record. If more than one record is found, an exception will be thrown stating that more than one record is found. If you want to return the first record use the FirstOrDefault method. I hope everyone has a better understanding of the diferrence between IQueryable and LINQ to Entities. Next article I will explain normal IEnumerables and how they differ from IQueryable. So When to Use IQueryable and When to Use IEnumerable? Excellent question, I’m glad you asked! Since IQueryable extends IEunmerable, it would be a good assumption that they have all the same capabilities. That assumption would absolutely correct. The key difference is how and when they handle and manipulate the data. At the end of the day, you really want to make sure that you don’t mix them up when building your call to the database otherwise you can see some very undesirable results. Although this seems like you are doing the right thing by filtering the Product by name, the problem is that the first line returns ALL the products and then you filter the local list of all the products to see what names are ‘Toy 1’. Obviously, this is not ideal if you have 100,000 records and you want 1 toy. Instead, you should build up your query to send the filter within the query to execute. Here is a better way to do it. I hope this has all made sense to everyone. Please feel free to leave some comments and let me know if there is anything I can clarify and or things I can blog about in the future. Today, I wanted to talk about eager loading versus lazy loading in entity framework. This is a very important architecture decision when initially setting up entity framework and has come up in quite a few projects over the years. I decided to blog about the two options because there is often misconceptions that revolve around these two options and how they work and interact with other .NET extensions. There are several ways to accomplish toggling the two options, but I find the most common way that causes confusion is when and how to use the virtual keywords on your navigation properties. What exactly is eager and lazy loading? Eager loading and lazy loading are common terms used in software development that define at what point data is loaded into an object. Even though a field is created and a calculation has been assigned to it, the calculation is not run until some predefined event is triggered. In entity framework this related to when a navigation property is given a value or when a SQL query will be run. I often as a question in interviews what the difference is between IQueryable and IEnumerable as it related to EF and SQL queries, but we can leave that for a different blog entry. Today, we will focus on the navigation properties scenario. So what are they and how do we use them? So what are these mysterious and commonly misunderstood entity framework options? Good question . Eagar loading means that you want Entity Framework to load the data when you want it to and not when it thinks is the best time to. Usually, when you want to eagerly load data, it’s because you need it for some column in the returned data that has some relation to another query (maybe an Id from a newly inserted row. Entity can return this, but maybe for some reason you aren’t doing this). Here is an example of eagerly loading the data. The code above shows a method that creates the Entity Framework context with a using. This is good to use when you are creating custom contexts because as soon as you are outside the curly braces for the using, the context is disposed of for you to prevent memory leaks. I typically use repository and unit of work patterns to handle this, but it is great for smaller applications. Also for blog posts . Inside the using, we are taking the context and requesting the first or default of the employees found with an Id of whatever the caller passes in. This takes the IQueryable and converts it into a concrete type. In this case an Employee object (table in the database). This is eager loading because you are asking entity to return you the data immediately, not when it feels a good time to do it. There are problems with this method. When you have this code set up and maybe you get this data and then use it based some other check statements. Well, you just called the database for no reason. Now in this case, it’s not a big deal because it will only ever be one record, but what if you were getting all employees that were active and there were 600,000 of them? That might raise an issue. With that said, I tend to align more with this pattern because I like to have control of when data is being returned especially in the next section where we will discuss where this fits in with Navigation Properties. How does this relate to Navigation Properties? Here we are using the People object (pluralized version of Person table) and navigating through the Employees table to return any people that contain Employees. Now, using the above examples, lets say that we did not do a ToList() on the returned variable employees and instead left it an IQueryable. When the caller received the result, until it calls the ToList() or something else that makes it become a concrete type, entity framework will be lazy and not make the call to the database. Pretty cool huh? What’s even cooler is that when the call is finally made, an inner join is made to get you Employee navigation property data as well. But now, lets say that we want a list of all the People with the first name that starts with a ‘J’, but don’t care about the Title or Department because this is just a dropdown of name value pair. In the current structure, the virtual will always return the employee information which may be quite a bit of data depending on tables size. This is especially important in a web platform. To get rid of this, you would get rid of the virtual keyword on the classes navigational properties. Then, whenever you want to get the employees, you can do make a call to do so using the include method in LINQ. You will notice that Include uses magic strings, which I am not a fan of. There are plugins on Nuget that will override this method. I created my own implementation that I will share in another post. Maybe I’ll update this one. This is getting a little long, so I may not. I hope this has helped clear some confusion on the options for eager and lazy loading in Entity Framework. Today I’m going to talk about the dreaded namespace changing (this also applies to project renaming). Most of the time, when you decide to change the project name and or namespaces in an application, there is almost always some hidden issue that pops up. It has been my experience that there is usually a different ‘gotcha’ with each application type (For example Windows Phone, Windows Phone Silverlight, ASP.NET MVC application etc..). This particular article will focus on a Silverlight application. I have posted several namespace type posts before. One in particular here that relates to changing namespaces in an MVC application and how it changes the way routes are interpreted. I will be talking about another recent issue I had with namespaces and WebAPI in a future post. What most seem to miss in Silverlight Application project / namespace changes (Including myself). Update the Assembly information to match the new namespace. Update the WMAppManifest.xml file Packaging section. Update the App.xaml to reflect the new x:Class section. Update any XAML files to the new namespace. Update both the .cs and .xaml file (The .xaml files are updated in the x:Class section at the top of the page). Update all classes to use the new namespaces. Update the Package.appmanifest file with the proper entry point if updated and the Packaging section. Clean out (delete not just run a clean) the obj and bin folders. Rebuild the project. This will ensure that the files associated with the project are renamed appropriately to match the new namespace and project name changes. Not doing this can cause adverse affects. After doing all of these things, most of the time, you have covered all your basis and everything will build successfully and run as expected…. but not always . The key here is the code. –532265… Usually, the exit code is –1, which is pretty much exiting the application, but expectedly. About an hour after Goggling the error code, I found an interesting SO post. There seems to be a bug in Visual Studio 2013 and 2015 that causes the Startup Object in the Properties section to be empty. To get to this section, right click the project and go to Properties => Application => Startup Object. See below for a visual. Where it says not set, you should set this from the dropdown to the desired start App XAML file. Hope this helps others from pulling their hair out. When you have a function that needs to be called after an asynchronous method, how do you handle it? A good example of this is when you need to get a list of data from a RestFul API and based on these results, populate a browser side data table. The problem is that the asynchronous part of an ajax call by nature means that it does not ‘block’ the thread and continues to execute the rest of the code. In the example above, alert, will always be undefined for two reasons. 1.) At the top, we are not actually initializing the results variable. 2.) Due to the nature of the Ajax call, even though the getData() method is before the alert, the method returns after the alert. If you try it out and put a breakpoint on the anonymous function in the success line, you will see that the success is triggered after the alert. This is called a callback. So what exactly is a “callback”? Essentially, a callback is a ‘promise’ to the caller that when it returns, ‘this method’ will be called. In the above example, the JQuery Ajax method makes a promise that when it returns, the function linked to the success will be called. Here is an example of what a callback might look like if you didn’t use JQuery and created one yourself. So How does this solve our problem? So, here we have abstracted the alert for the data returned into a seperate method called callmeback(). This method takes in the result and then alerts the FirstName property of the first result in the array.